Now they’re ready. 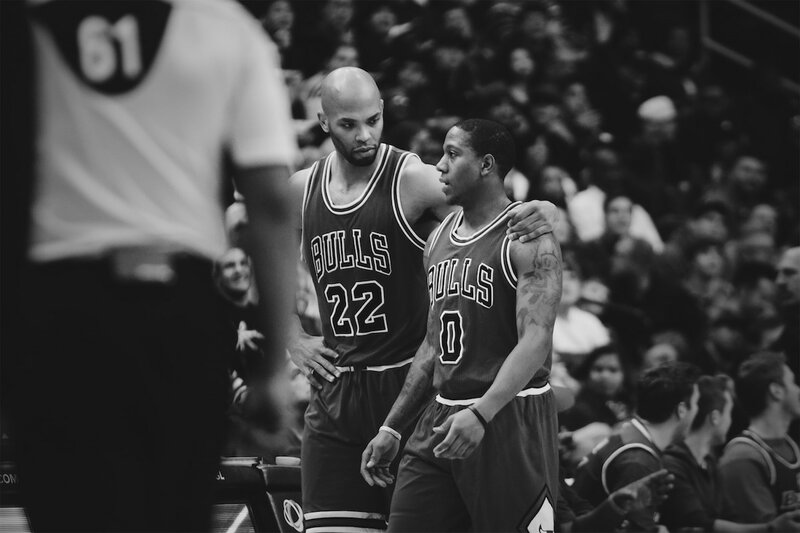 But can the Bulls handle the Philadelphia 76ers? Yes, this season gets weirder and weirder. The Bulls Sunday in the wake of their verbal outbursts, fines, social media navigations, benchings, team meeting and gruesome losses try to regain some balance against the team that has been the joke of the NBA for the last three years and now has won 10 of its last 14 games. Suddenly, the 76ers are as close to catching the Bulls as the Bulls are to catching the fourth place Atlanta Hawks. And then the Bulls go west for their most challenging road trip of the season, six games against three of the top six teams in the Western Conference and closing Feb. 12 against the developing, young Timberwolves. So the Bulls Saturday took out their “This is The First Day of the Rest of your Life” coffee mugs and decided with a spirited practice, OK, it starts now. That morning, as perhaps it may always be referenced with this group, was apparently an intense, confrontational, passionate, soul searching session among players, coaches and team management. It came in the wake of the blown lead against Atlanta Wednesday, searing comments from Dwyane Wade and Jimmy Butler, an aggrieved response from Rajon Rondo and then fines for the three, early benchings for Wade and Butler, and then a team desperate for victory but with little energy left after the draining, long morning session Friday. 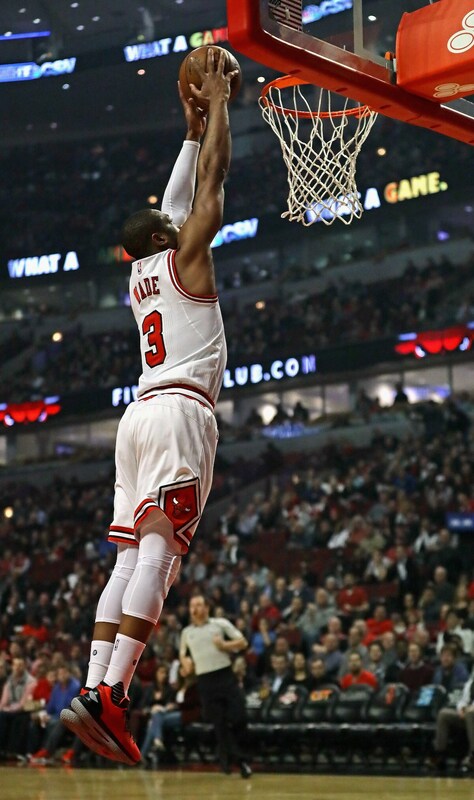 Butler and Wade had two of their poorest games of the season, and it was another loss. But the sun did come up Saturday, though being it was Chicago in January that was mostly rumor and hearsay. We did see it elsewhere on TV, and Gibson, the most standup guy the Bulls have, came to stand up before the media after practice when everyone else probably was mostly talked out. And worn out from what by all accounts was a fiery and frenzied practice session that included Wade. That actually was somewhat unusual as Gibson conceded one of the issues during the meeting voiced by the young players accused by Wade was his lack of practice. Though that has been by agreement with the coaching staff and management because of Wade’s age and experience. Still, Gibson said Wade was out there in full perspire, an encouraging symbol of a new day. “Everybody was focused today in practice,” Gibson said. “There was less talking, a lot of competitiveness. There wasn't really any bad vibes. “Probably about a four, four or five (out of ten), maybe,” Gibson said when asked about the magnitude of this particular Bulls misadventure. “I've seen worse. I’ve been in some chaotic yelling matches with Thibs (Tom Thibodeau) and everybody just going crazy and I’m sitting there thinking, ‘Don’t call my name, please.’ I was shocked how we came out of it and made us a better team. We talked it out, got everybody going, got some things off guys' chests. I didn't take anything negative from it. Of course, all that will be measured in the standings. But if there have been issues festering that could not be addressed, perhaps it does become a positive turning point. Wade’s message was that sometimes you have to be the villain and unpopular to get your point across, that success in this business transcends popularity. And that Wade was willing to put his Mr. Good Guy image in danger to sacrifice for the team. He’ll also have to back it up on the court, and it seemed like he started on the practice floor. The questions, issues and concerns, as they often do, led back to the coach, and Gibson had his back. 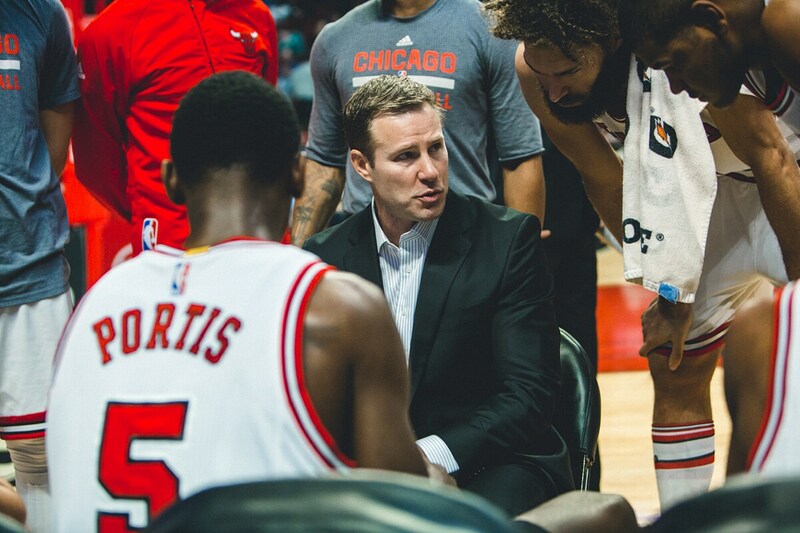 “Yeah, I think he's got control of the locker room,” Gibson said of Fred Hoiberg. “He gives guys a lot of freedom. When he first came here, people said our team needed a much easier kind of guy. We had Thibs, like a drill sergeant. He told you that you can play even when you're extremely hurt. We went out there and we played hard. Was it a good thing for us sometimes? No. But that was just a different kind of coaching staff. Fred is coming from college, this is his second year being around a whole different bunch of guys who have been in the NBA a long time, guys on their way to the hall of fame, guys that have won championships. Fred is just trying to deal with all these different perspectives and then trying to put guys in the right positions. You've got guys constantly complaining; guys want to play. It's tough being an NBA coach. People don't understand that. The talking’s done. So now it’s time for action. The Bulls perhaps get a break, if not the fans anxious to see the latest star, with the 76ers Joel Embiid not scheduled to play on his relaxed, post injury playing schedule. For the Bulls, we’ll see who got the message.